Here I tried to make a card that was both distressed and CAS. When I bought a copy of The French Lieutenant's Woman on Ebay, I was annoyed when it started to fall to pieces while I was still reading it. But I've had many years of use of its pages on craft projects and recouped the cost of the book many times over! That would be frustrating to buy a book that is falling apart. I am glad you are using them in your cards though! Lovely design. Hi Marina, this is a gorgeous CAS book page card. 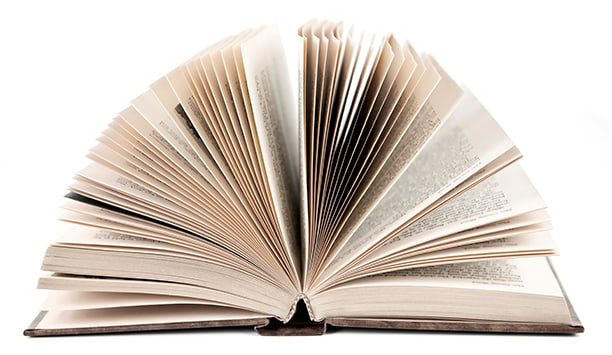 I love how when we see book pages we start reading them without thinking. This much loved book is still giving. 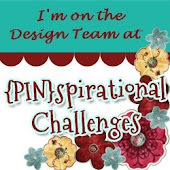 Thank you so much for joining us at Fashionable Stamping Challenges. Lovely card with the wonderful leaf and text background! How awesome to use a book page for your project! Love how you did the sentiment on the side, too! Wow, your card is very beautiful! 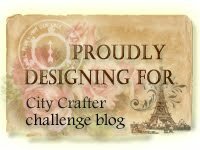 Thank you for sharing at Fashionable Stamping Challenges. What a gorgeous card, Marina! 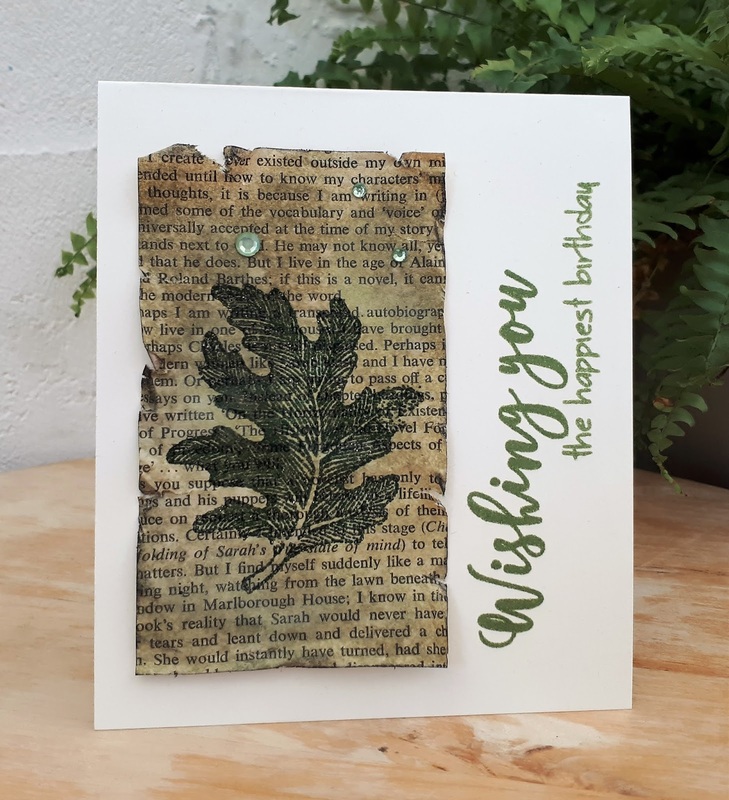 I love that beautiful leaf, and that you used an old book pages. 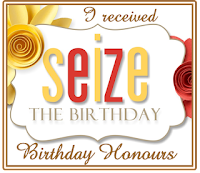 Thanks for sharing with us at Seize the Birthday! 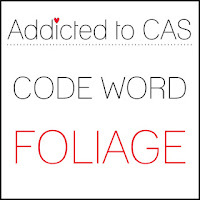 I love you CAS card. The distressing is perfect with all your elements. Thanks so much for joining us at Little Red Wagon Challenge! Such a beautiful CAS card! I love the papers you used! 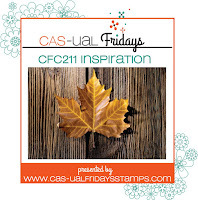 Thank you for sharing with us at CAS-ual Fridays Challenge!! City Crafter - What a Circus! !